House Speaker Paul Ryan Bids Farewell To Congress - Joe.My.God. 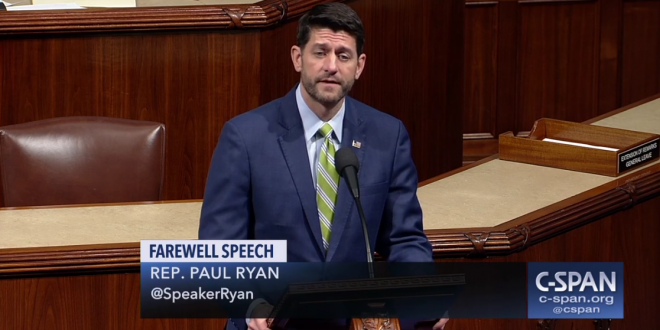 House Speaker Paul Ryan, striking a note of gratitude and humility, thanked his staff and constituents for their support throughout his 20 years in Congress during a farewell speech on Thursday. “I’m immensely grateful for the people of southern Wisconsin for their trust and their confidence,” he said. “I’ve always had this thing about calling the people I represent not my constituents, but my employers.